We are the leading Manufacturer of world class range of Tractor Parts and Sheet Metal Components. Our products are appreciated for reliability and durability. 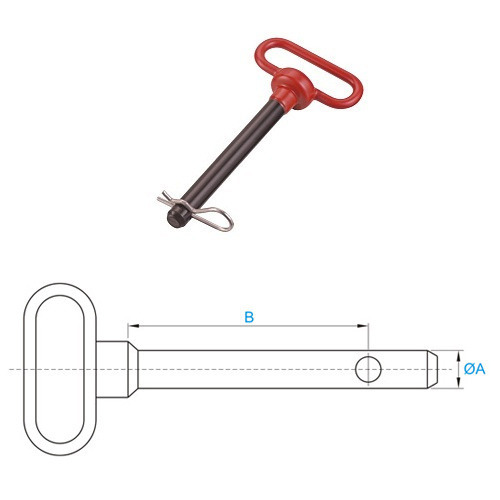 We are a prominent manufacturer of a wide range of Tractor Linkage Pins, Trailer Spare Parts, Stabilizer Chain Assemblies, Cone & Link Balls, Auto Parts, Sheet Metal Components, U Bolts, Container Locks, etc. These products are precisely manufactured using advanced technology and high-quality raw material by our professionals. Moreover, we manufacture these products in accordance with the set industrial quality standards. Further, clients can avail these products from us in various specifications and dimensions at very reasonable rates. This product range is acknowledged for its extended durability, optimum quality, easy installation, compact construction and corrosion resistance.